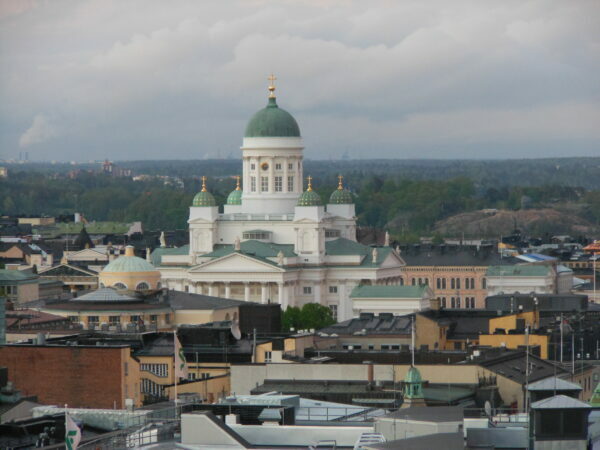 On our return to Helsinki, we spent a few days visiting the many fine sites and museums that Helsinki has to offer and it is a place to travel to. 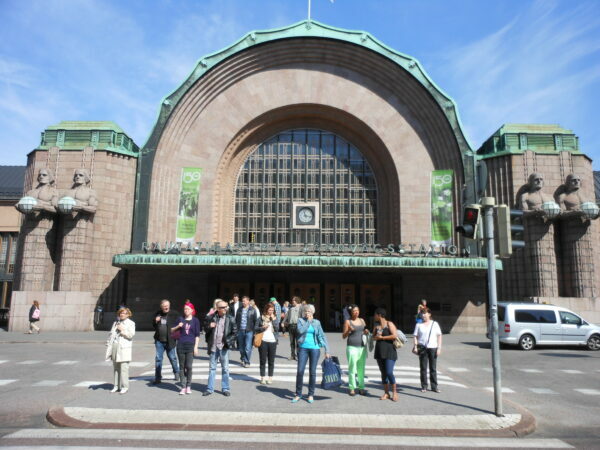 The Helsinki train station above was like a Museum with food vendors and really clean and efficient. 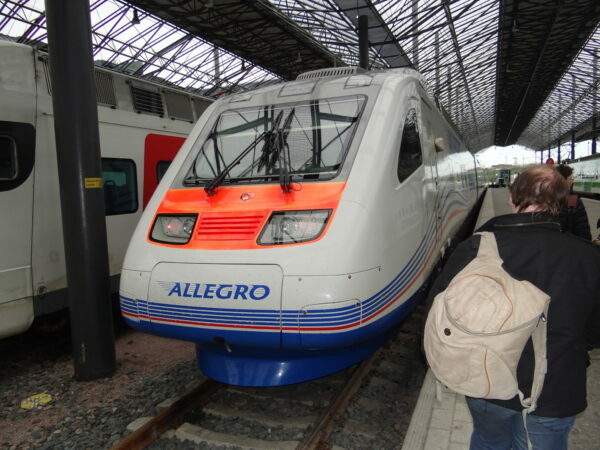 Operated by a joint venture between the state railways of Finland and Russia, the high speed trains from Helsinki to St Petersburg, also called the Allegro, use an advanced version of the Alstom “electric multiple unit” used on Finnish railway lines, designed the Sm6. Each car in this type of train has its own locomotion, the combined power of which allows it to move unusually fast, speeding up and slowing down much more safely. 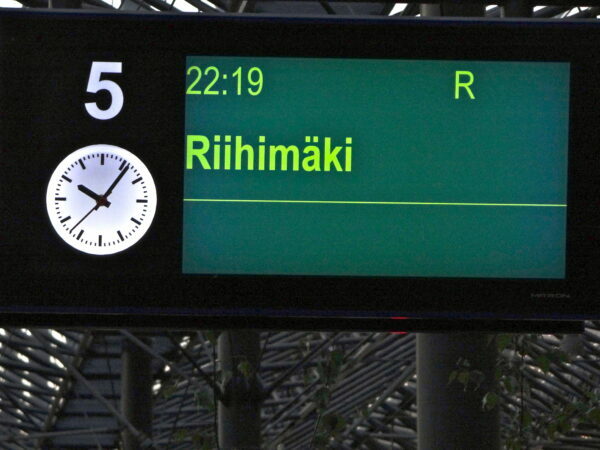 The trip on this modern train from Helsinki to St Petersburg (or in reverse) typically takes a little more than 3-1/2 hours and is about 250 miles in length. 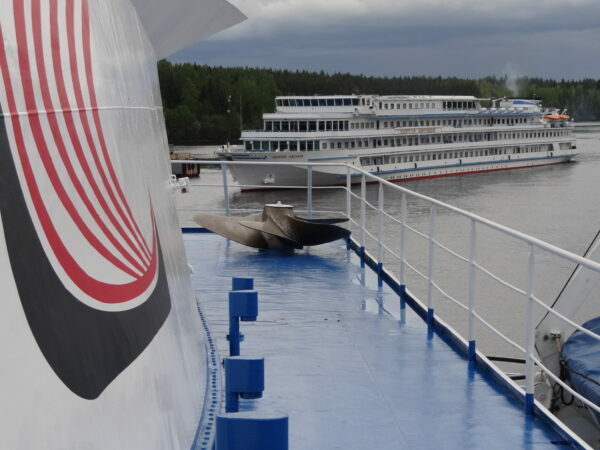 The Helsinki to St. Petersburg train caters to the requirements of the modern luxury and business traveler. 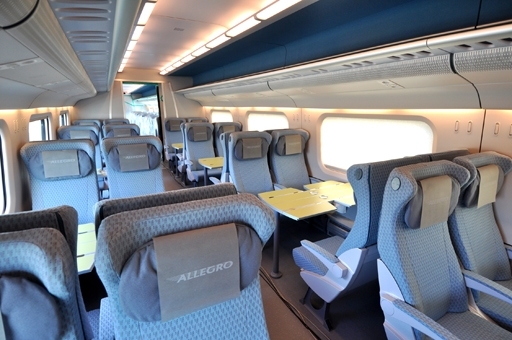 Whereas comfortable seats are reserved for business and first class on an airplane, the high-speed train from Helsinki to St Petersburg maintains comfortable seating for all its passengers, with a little extra legroom for those going first class. 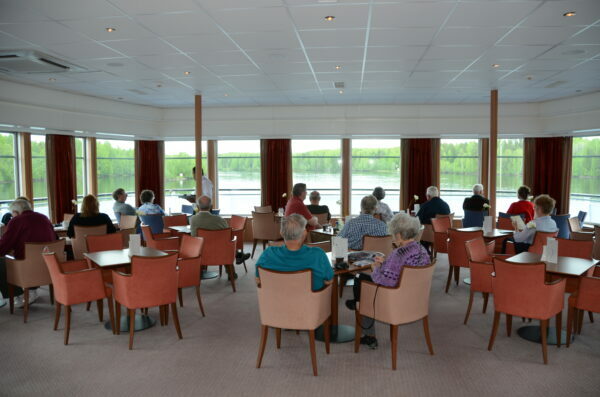 On the Finnish side, the Allegro High-Speed Train makes five stops before reaching the Finnish passport control and customs station at Vainikkala, while on the Russian side, the route is a direct express between St. Petersburg’s Finland Station and Vyborg. 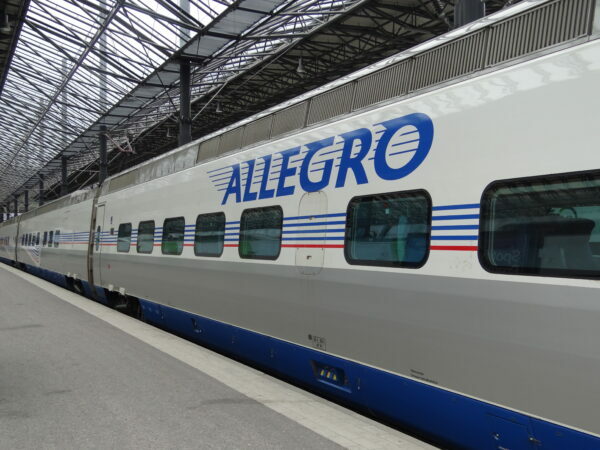 Once passengers arrive at either of these two stations, they are not allowed to leave the Allegro train on their own until they have cleared customs on the far side of the border crossing. 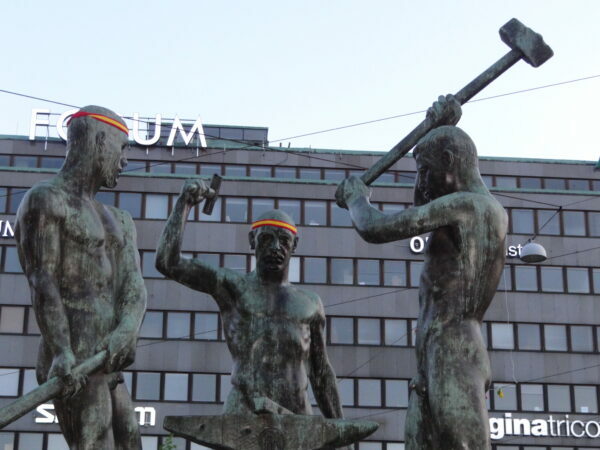 However, we cleared customs on the train so all was easy and nice. 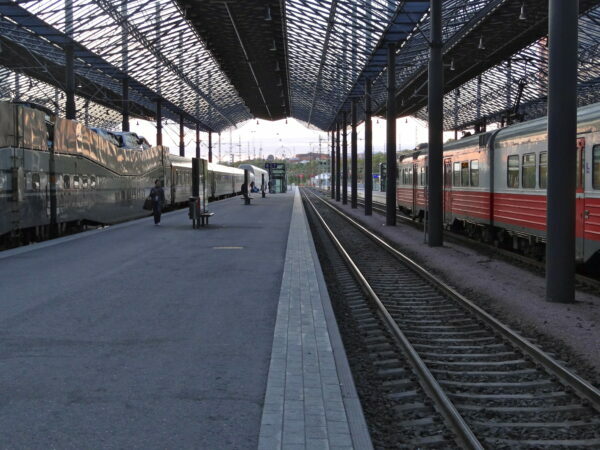 So we boarded the fast train to St. Petersburg Russia below. 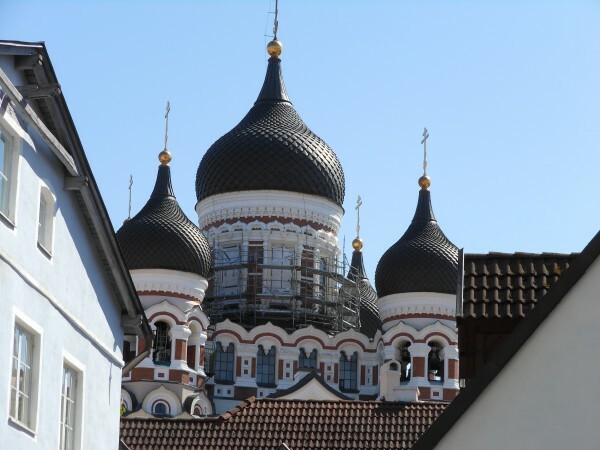 The Train ride was a delight and going the Russian customs was no problem. 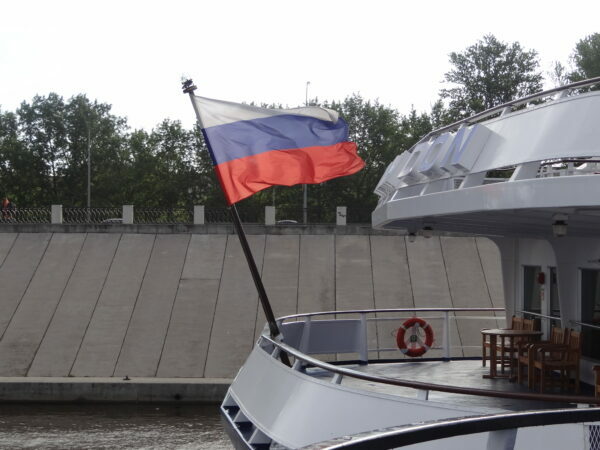 Upon arrival in St. Petersburg we were taken to our boat for the canal boat tour to Moscow.